Land Cruiser steering lock problem is here if you really want to know! 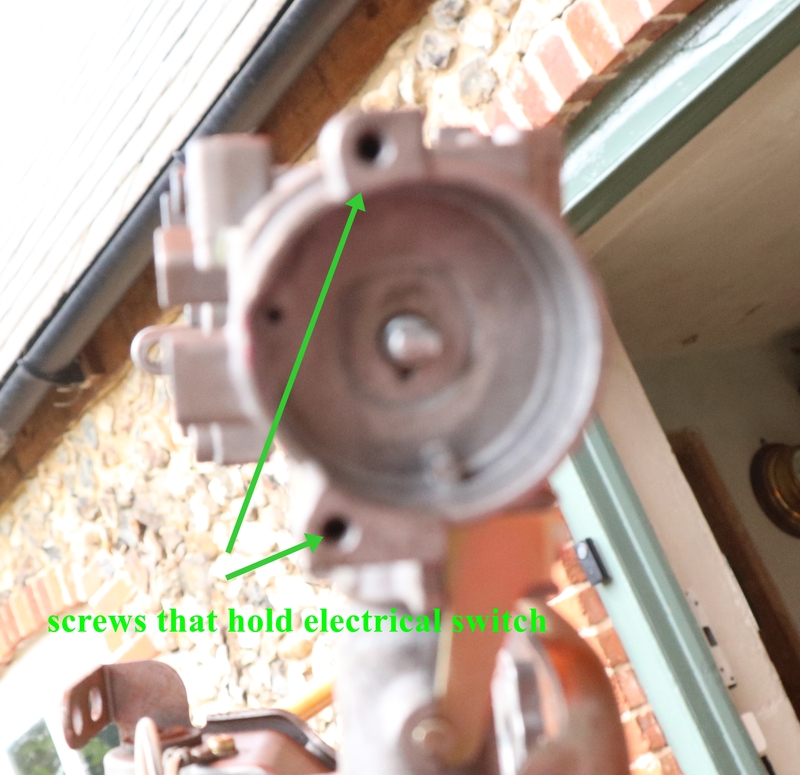 June 2018 – Had an email from someone who had broken off the die cast link rod connecting the key assembly to the electrical switch and the steering lock – the usual problem! Contrary to popular view I think its a relatively easy job for a mechanic or an enthusiastic amateur provided you still have a working key- you first need to remove the plastic dash bit around the column so you can get at things. 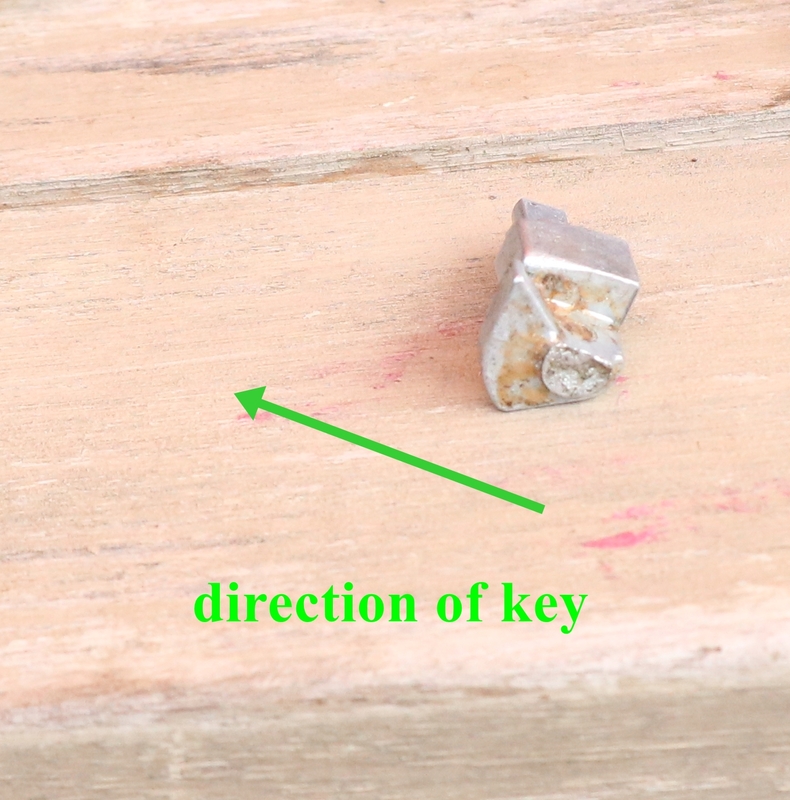 The lock barrel is held in by a peg underneath about 2 inches from the front of the lock – with the key in the off but not lock position ( I think that is the right position) you can push the peg in and pull out the barrel. The first part of the link rod should come out- you may need to press the sprung slider on it to clear a ridge in the housing. That leaves the broken off bit in the housing. 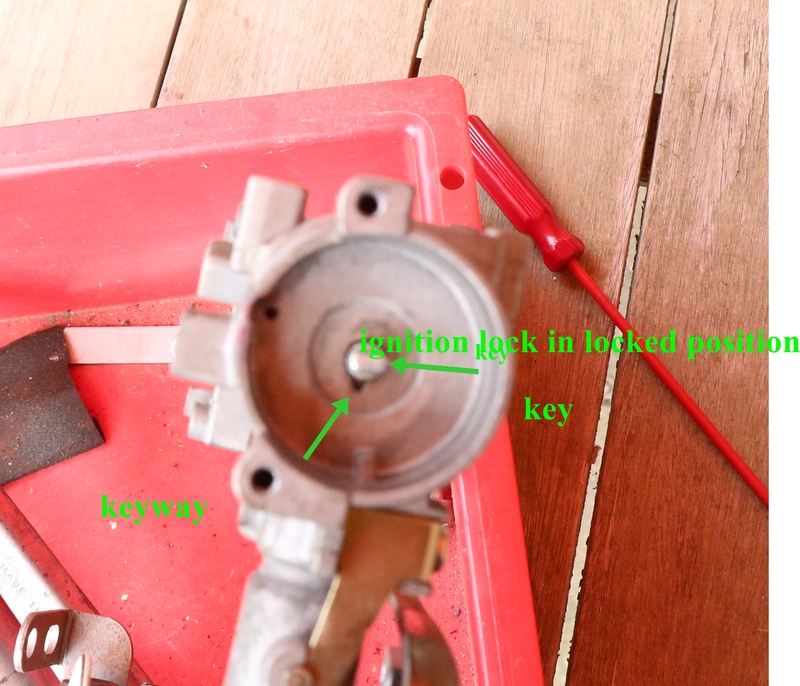 It is held in by a tab that needs to be rotated to the correct position to pass through a slot in the back of the housing BUT you can’t rotate it because the ignition switch assembly stops you going far enough ( I think it needs to go 90 degrees anticlock from teh lock position), so you have to take that off the back of the housing – 2 screws that I believe are difficult to remove ? – the heads face the front of the car (disconnect the batteries at this point!). Having got that off, you need to rotate the bit so that the broken end of the die cast shaft is a D shape with the flat surface horizontal and at the top ( the V shaped cam that works the steering lock should point up and be on the left side of the centre) – a bit of jiggling should free it – you may need a fancy pair of very long nosed pliers or something to be able to manipulate it ( long reach 3 pronged spring grabber?) – I didn’t do that bit, the garage did it along with messing up the rest of the job. If you can see what you are doing, (mirror ?) its probably easier to rotate the bit and line up the key and slot from the back of the housing and push it through, then you just have to fish it out… Once you get it out you need a new diecast bit ( I believe around £20) and put it all together again……..I didn’t do all of this job, but I have played around with the bits ( except the ignition switch)…………… good luck…. this is the bit that breaks off – you can see the V cam that moves the steering bolt pointing up and to the left at the front- the part is almost in the right orientation to remove, it needs about 20 degees anticlockwise rotation! This is on its side – up is to the right – you can just see the keyway for the tab beneath the die cast link rod sticking through the housing – rhe flats on the end engage in the electrical switch. 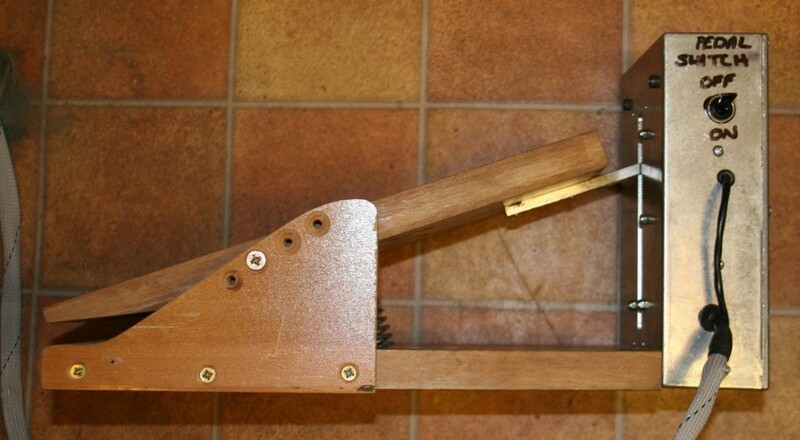 April 2017 – I still have a more or less full set of bits of the whole steering column and lock assembly that I think is pretty well perfect – minus the shear bolts – if you are interested please contact me via the comment box – Cambridge area. I took my testmeter into the shed and had a look at voltages – the speed control pot has -5.7 Volts across it, and when it starts properly the voltage stays at -5.7 at all speeds. If its not starting as you turn the pot, the voltage drops to about -4 V at ‘full speed’ position. The back of the board is a mass of surface mount stuff, so I’m not sure I can work out the control circuitry – there are a couple of multipin I/Cs that don’t have numbers on them, but I’m pretty sure the problem is in the very first stages of the speed control – I just need some way of pinning it down a bit…. Well, I didn’t find anything wrong, but whatever I did or didn’t do, it is now much better and starts almost instanly 90% of the time – I begin to believe some of the comments on the web concerning bad joints…. A mystery, but since its functioning I will use it and worry when it goes wrong again…. 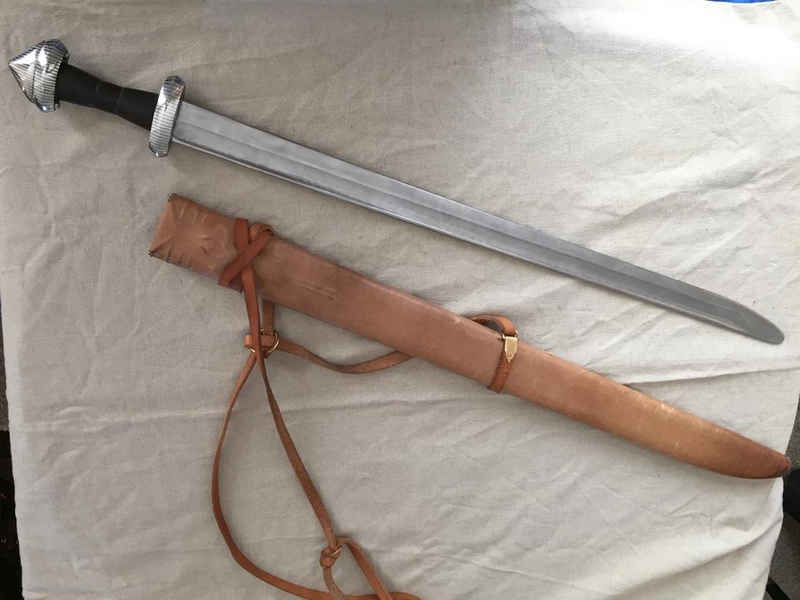 Here are some photos of a Viking sword that my son Tom has been making (using only hand tools apart from a grinder). It is authentic, including the extensive silver inlay – I’m impressed at the patience! I am putting this up in case anyone needs to do the same – I have a SIP P178 HF welder and wanted to get lessons in precision TIG welding from Jason McDougall, who said that without a foot pedal control on the current and stop start I wouldn’t get very far! Welders with foot controls don’t come cheap, and I didn’t want to scrap my almost new SIP, so I had a look around to see if I could fit a pedal control. No info on the web that was relevant, although there were a few pics of pedals, and unfortunately no circuits available for that model. Under the hood I found the current knob was a dual gang potentiometer of 1K Ohm resistance, which was a bit of a problem, as I would have to substitute my pedal for this potentiometer – I couldn’t find suitable 1K slide potentiometers to make my pedal from, so ended up with a bit of a Heath Robinson arrangement with a cord running round a drum that sat between two 1K rotary potentiometers moved by an arm on the pedal – after a bit of messing about I put in a sprung idler pulley to keep tension on the cord and a microswitch that operated right at the top of the pedal movement – doesn’t quite cover the full range of the pots but probably goes to 120 amps – so far so good….